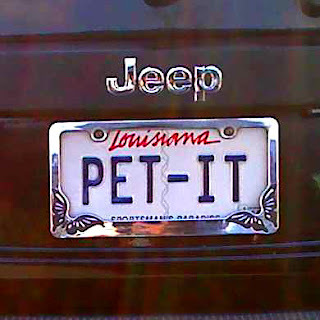 I don't care what you think it is, but I'm from Louisiana. I'm thinking that anyone around here with less than the usual number of fingers, toes, or appendages were dared to "Pet It!" Either that, or this person runs an Information Technology department for very well organized chihuahuas.